No suspects have been arrested as the situation remains under investigation. 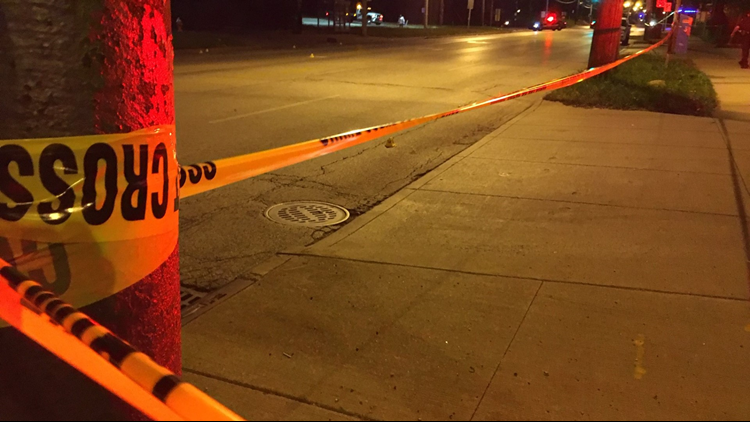 CLEVELAND -- A 29-year-old woman is dead following a late-night shooting in Cleveland on Wednesday. Police say it happened shortly before 11 p.m. in the 18100 block of Euclid Avenue as the victim and other family members were standing in a parking lot. A red Dodge Dart driving eastbound on Euclid opened fire. The victim, who was shot in the chest, had been taken to the hospital via private transportation where she later died. Her name has not been released. A 23-year-old woman was found at the scene with a gunshot wound to the elbow.